As a hunter, you’ve heard about reloaders. Maybe you even have a hunting buddy who’s a reloader. He’s got his own top load balance scale for measuring out and weighing gunpowder. The whole process sounds intriguing to you, but you don’t have all the equipment you need yet to give it a go on your own. The main item you’re looking for is that top loading balance, but you’re just not sure which one to get. That’s what this article intends to help you with. Read on to learn about the various qualities and types of scales available. Discover the one you think will be the best top loading balance for you to start with. Click a link in the table to jump to that section or just keep reading below. 1 What Can a Top Load Balance Do? 2 What Types of Top Loading Balance Scales Are There? 3 Which Is the Best Balance Beam Loader? 4 Which Is the Best Digital Loading Scale? 5 Which Top Load Balance Should I Get? What Can a Top Load Balance Do? Some hunters and precision shooters (perhaps this is you) take their hobby very seriously. They want control over even the tiniest factors related to their rifles, from the gun itself to the riflescope to the bullets – even to what’s inside the bullets and their composition. With a top loading balance, you can control the amount of gunpowder inside each and every bullet right down to individual grains and kernels. A single kernel of Hodgdon H4350 gunpowder, which many professionals use, weighs between 0.02 and 0.03 grains, and 0.02 grains equals 1.3 milligrams. If your top loader can handle milligrams, you should be able to measure your weights to the nearest kernel. The more expensive scales can handle this easily. You get to decide the weight of your bullets and can make sure that each of them is exactly the same. With that variable eliminated, you can concentrate on your shooting skills. Some balances come equipped with a powder dispenser or trickler. With an attachment like this, it’s much easier for you to control the number of grains to add to the weight on the scale. In addition to measuring the grains inside, you might even weigh the casings themselves. If you find that there are differences from one to the next, your top load balance will help you determine which ones need alterations for uniformity. What Types of Top Loading Balance Scales Are There? When shopping for a new scale, there are two basic types from which you can choose: traditional balance beam and digital scales. You will find reloaders who swear by each of the types and who find fault with the alternative kind. Obviously, each has its pros and cons. You might actually find it very useful to own one of each style of scale. Each works best under certain circumstances in certain locations and for specific purposes. The number of scales you own will also depend on how much reloading you intend to do. Some hunters like to have multiples of the same scale so they can be working on more than one reload at a time. Scales with a dispenser can take up to 30 seconds to complete their task. If you have several working at once, it can significantly cut down on your reloading time. Which Is the Best Balance Beam Loader? There are many good balance beam loading scales, but the cream of the crop seems to be the Prometheus Gen II. This is an automated dispenser and scale in one unit. Below is a video where you can get a good look at both the Prometheus Gen I and Gen II. This is a demo of how each of them works side by side. Perhaps a more realistically priced model is the RCBS 505. It can measure up to 511 grains, and you can adjust the beam to 0.1 grains. You use the wheel adjustment to accurately set the scale to zero. Graduations on the beam are clearly marked in black on a white background. The RCBS 505 also has magnetic dampening for settling your measurements. The main measurements are in 10-grain increments. With two fine adjustments, you can adjust for both 1.0 grain and 0.1 grain increments. Or you might opt for the Redding No. 2 as shown below. On the zero-pointer end of the scale, there is an indicator that tells you how much over or under your measurement is. It’s graduated in 0.1 grain increments. Which Is the Best Digital Loading Scale? The RCBS Chargemaster Combo set is a popular and well-liked unit. It receives very high ratings from owners at Amazon. What you would probably consider a step up from that is the Sartorius Toploading Balance. There are several models available. Some are more precise than others and having a corresponding price tag. Dillon makes a good digital powder scale called the Terminator. AccuLab reportedly has an excellent scale for these purposes but it can be a little difficult to find. Which Top Load Balance Should I Get? The bottom line on top load balances, as in so many other areas, your choice could easily come down to cost. How much of a scale can you afford? If you can afford more than one balance, you probably should get a traditional and a digital model. In addition, a set of scale weights for accurate calibration would be a very good investment. Some scales maintain their calibration better than others, but it’s always good to be able to check this on your own. A set of weights like the one above or a similar set you prefer does the trick. 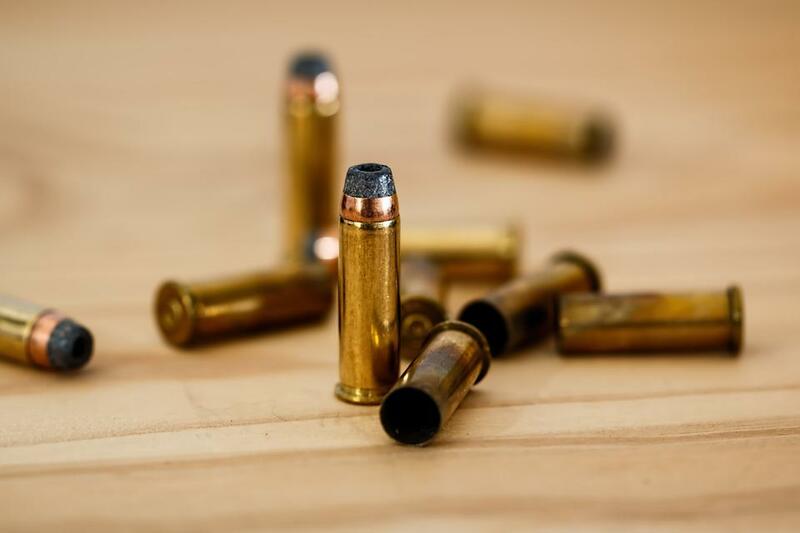 No matter which top load balance (or balances) you decide to get, as long as you work with it consistently at your bench, you should get the desired results – more consistent loads in your ammunition. When your loads are accurate, then your shooting can be as well. As the old saw says, practice makes perfect. This is true about both your reloading efforts and your marksmanship. Put the required amount of time into both tasks and you will find yourself hitting the center of that target more often and more consistently than ever before. Note: Most photos above are links to the pictured product at Amazon. Previous Previous post: SIG Sauer Is a Name To Be Reckoned With: Can You Handle the Truth?